Blog — G. Lyon Photography, Inc.
Twelve small buildings were consolidated into one renovated complex that includes space for administration and for the community. Unique design elements from the original gym, built in the 1940s, were preserved including the center court dragon emblem, now displayed in the library. VLK Architect Angel Rivera notes that "When the old gymnasium was demolished, we didn't just throw out everything. The whole basketball court was saved, reclaimed, and utilized in the new school. The original center court dragon emblem, which is Driscoll's mascot, is on the wall in the library and the maple court floor from the old gym is used in the new display cases and interior finishes in the archways and collaboration areas." "Additionally, the beams that were holding up the old gym were also utilized as exposed beams in the main hallway, vestibules, and around door openings throughout the building, connecting the old with the new in a sentimental and inspiring way." The new Agriculture Complex houses steer pens, pig and sheep/goat pens, poultry pens and rabbit pens. The 145,000-sf school includes a library, gym, cafeteria, laboratories, a clinic, classrooms and administrative offices. We will be in Southeast Asia from December 11th through January 6th. Let us know if you need anything captured before or during our trip. We are drone photography experts and love telling the story of a project through unique angles and perspectives. Let us know if you need any projects captured. This 285,000-sf campus includes classrooms, exploration space, a multipurpose cafeteria, gymnasium, auditorium, swimming pool and multiple sports fields. The unique building is Nord Anglia Education’s flagship school in North America and the facility supports an International Baccalaureate curriculum. This facility contains a mixture of open and closed office spaces, a large break room and informal collaboration areas. The renovated bank building also features a conference room inside of an old bank vault. Additionally, old safety deposit boxes were used to create a bar in the break room and television stand in the conference room. We recently captured some aerial photos of the impressive Phillips 66 Campus. The 14-acre site is located off Beltway 8 West between Westheimer Road and Briar Forest Drive. Does your photographer have the correct permits required for each shoot? Click the photo to learn more about the importance of using a thorough prepared photographer, like us. Check out this article from Chase Jarvis to learn more. The Sunset Coffee building, originally built in 1910, recently underwent a major transformation. The building houses Buffalo Bayou Partnership’s offices and includes a rooftop terrace, paddle craft/bike rental facility and outdoor plaza. Our team continues to capture abstract photos of the 12-acre West Memorial Place to be converted into wall art. This photo of Greens Bayou was captured using a drone, Osmo and D5. The Greens Bayou Corridor has over 20 parks with more in the works. Click the photo above to see some of the most unique cameras in the world that actually work, courtesy of legendary photographer Chase Jarvis. In 2013 a group of students launched a GoPro into space but it wasn't discovered until years later by hikers. To see more incredible images and learn about the GoPro's crazy ride click the photo below. Our team was recently selected to capture several high profile projects including Phillips 66, St. Pius High School Center for the Sciences & Media and West Memorial Place. Phillips 66 recently unveiled their new 1.1-million-square-foot global headquarters housing over 2,000 employees. The unique campus includes a yoga studio, spinning studio, basketball court and soccer field with a track. Additional amenities include an on-site dentist and physician, massage room, dry cleaner and two credit unions. The new 27,000-square-foot Center for the Sciences & Media anchors St. Pius’ west campus and includes lab and lecture classrooms, a roof-top garden, media and resource center, administrative space and plaza seating for outdoor learning and gathering. Located on 12 acres in the heart of the Energy Corridor, the campus includes a new 12-story office building and large green spaces throughout the property. Our team was selected to capture photos of the sprawling campus to be featured on the walls of the gym, locker rooms, leasing conference room, leasing lobby and hallways. We are proud members of the EADO community and enjoyed sponsoring Bisnow’s Future of EADO event. East Houston is booming and with 5,000 jobs and 6,000 residents the area presents a lot of opportunities for developers. To learn more, check out this Bisnow article. If you need a break this afternoon, click the photo above to see winners of the 2016 Red Bull Illume Photography contest. The shot below by Lorenz Holder was selected as the top photo overall. 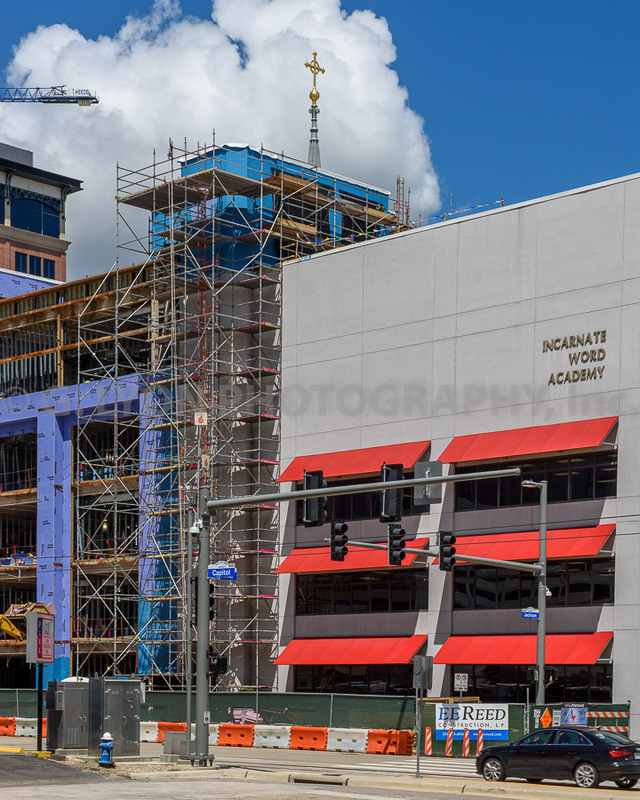 The Incarnate Word Academy, a Roman Catholic secondary girl's school located in Downtown Houston, is expanding and the G. Lyon Photography team was there earlier this week to capture the progress. According to Houston Business Journal, this highly anticipated boutique downtown hotel is one step closer to delivery and we were there earlier this week to capture some great shots of the current construction efforts. With an approaching occupancy date of March 2017, construction continues on 609 Main at Texas, a 50-story 1.1M+ square foot office tower located in the heart of Downtown Houston. We were there earlier this week to capture a few of the finishing touches. What a beautiful September day to meander the streets of Downtown Houston and capture some great shots of life on Main Street. East Downtown Houston, passionately known by its inhabitants as EaDo, is a unique, vibrant up-and-coming Houston neighborhood that over the past few years has been transforming from a downtrodden, almost forgotten district to a fun, quirky community loaded with desirable residential neighborhoods, thriving businesses, trendy coffee shops, restaurants and eateries, live music venues, theaters and art galleries, studios and boutiques, and let’s not forget about the home of the Houston Dynamo, BBVA Compass Stadium. G. Lyon Photography is proud to call this neighborhood home and we are excited to announce that we are one of the select sponsors for Bisnow Houston's September 27th event, Future of Eado, focused on new EaDo developments and TxDOT’s proposed freeway reconfiguration plans happening east of Downtown. Won’t you join us and the other 235+ registered attendees at this event? The event is being hosted at the recently restored EaDo historic Cheek-Neal coffee building located between Minute Maid Park and BBVA Compass Stadium and there are nine speakers scheduled. It is sure to be another fabulous Bisnow event and we hope to see you there!! Levy Park, a public greenspace hidden within the Upper Kirby District, is undergoing a $12 million dollar facelift and we were there to capture the recent concrete pour of the park’s new performance pavilion roof. G. Lyon Photography shot approximately 15,000 still photos and took almost an hour of drone footage to create the entertaining time-lapse video below. 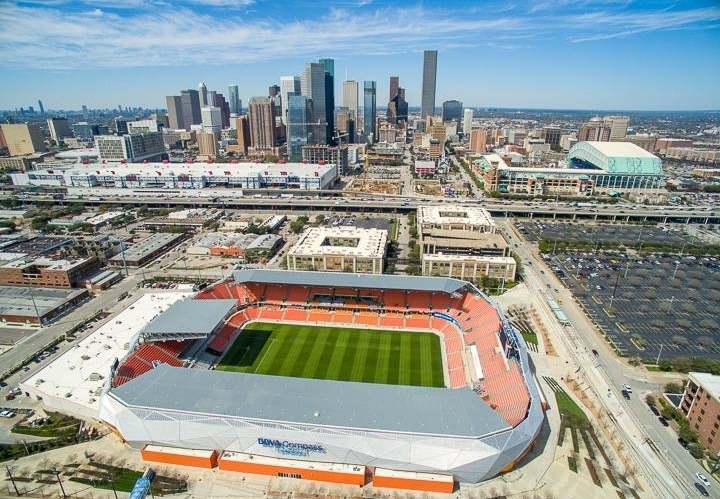 To learn more about the park’s exciting redevelopment project check out levyparkhouston.org. Our team has been busy capturing projects in the Houston area and beyond. Below are some recent shots we've captured of Whole Foods Vintage Park, Mitsubishi Heavy Machinery Division and Memorial Hermann Convenient Care Center in Spring. Located in Vintage Park at the Southeast corner of Louetta and Cutten Road, this new Whole Foods Market was built by Arch-Con Corporation. Mitsubishi's Heavy Machinery District, located at 20 Greenway, was designed by Ziegler Cooper and built by Arch-Con Corporation. The 15,000-square-foot build-out was recently completed. Our team recently captured aerials of Memorial Hermann Convenient Care Center in Spring, Texas. The project was designed by O'Dell House Architects. Click the photo above to check out a Bisnow Houston article detailing how EADO is evolving and featuring several of our photos. Geoff recently traveled to Denver to capture a project for a client and enjoyed photographing the sights while he was there. Click the photo above to see more shots from his trip. If you need a break today, check out this short video of an artist recreating a classic Rembrandt painting using only stock photos. Located in Waterway Square in The Woodlands, the 302-room hotel features meeting space, an outdoor pool, a workout studio, a business center, second-level pool deck and a 150-seat restaurant. Located at the former Great Indoors on the Katy Freeway, W.D. Von Gonten’s 72,000-sf space includes both offices and laboratories. This 15-story, 165,000-sf, boutique office tower is located in the dynamic Uptown Park/Galleria area. Located in Humble, this new apartment complex features one- and two-bedroom units, a resort-style pool, outdoor kitchen, fitness center and one-acre dog park. We're heading to Denver next week, let us know if you need any projects captured while we're there. We recently captured photos of the Allen Center before it undergoes a major transformation. Click the image below to see some shots of the building in its current state and check out this Bisnow article to learn more about the redevelopment. We were recently commissioned by the Buffalo Bayou Partnership to capture the unique abandoned cistern, rediscovered in 2010. The cistern, built in 1927 and larger than a football field, was Houston’s first underground drinking-water reservoir. Geoff enjoyed capturing both the natural and built environment during a recent trip to Arizona. Click the photo below to see more shots from his trip. We're throwing it back to when SMPS Houston did a Member Spotlight on Geoff. Click the photo below to learn a little bit more about the man behind the camera. We are committed to capturing and delivering quality images quickly. Below you can check out a couple of our recently captured projects including the The Westin at The Woodlands for JE Dunn Construction and Memorial Hermann The Woodlands Hospital ICU for O'Donnell Snider Construction. Our team ventured 40 stories up to capture Harvey Builders installing glass for the tallest pool in Texas, featured in this Houston Business Journal article and this Houston Chronicle article. Click the photo below to watch a short time lapse of the installation. If you need a break from staring at text on your computer, click the photos below to check out some impressive entries in the Smithsonian's 14th Annual Photo Contest. Or, if you're feeling ambitious, go ahead and submit an entry yourself. As local Houston photographers, our team is plugged into what's going on in the city and we are committed to providing you with photos of not just architecture, but current events. Below you'll find images of the recent flooding, the Final Four festivities, and a good looking project we shot for Arch-Con. During recent storms, 240 billon gallons of water have fallen on Houston, enough to power Niagara Falls for 88 hours. The Final Four Music Fest was held on Discovery Green and attended by numerous Houstonians. Our team recently captured The Gateway, built by Arch-Con Corporation. Our team recently shot Air Liquide, an impressive two-tower campus located in Houston. We're hitting the road next week and heading to the Big D, so let us know if you need any projects captured in the DFW area. We hope you enjoyed Saint Patrick's Day last week as much as we did! Geoff and his two pups Laci and Maggi sporting Saint Patrick's Day garb. Our team recently had the opportunity to shoot two projects for Arch-Con Corporation in the Houston area. Hover over the images below to learn more and check out Photoshop experts trying to use Photoshop 1.0 if you need a good laugh. McFall, Breitbeil & Eidman, P.C. If you need a good laugh, check out these photoshop experts opening and attempting to use Photoshop 1.0. We are excited to share that Geoff will be speaking at SMPS Houston's Professional Development lunch this Thursday, February 18th from 11:30pm to 1:30pm on the topic of professional photography. The first ten non-members in the AEC/Marketing industry who sign up using the code below will receive a free registration and lunch. Click the image to the right to register. We look forward to seeing you there! 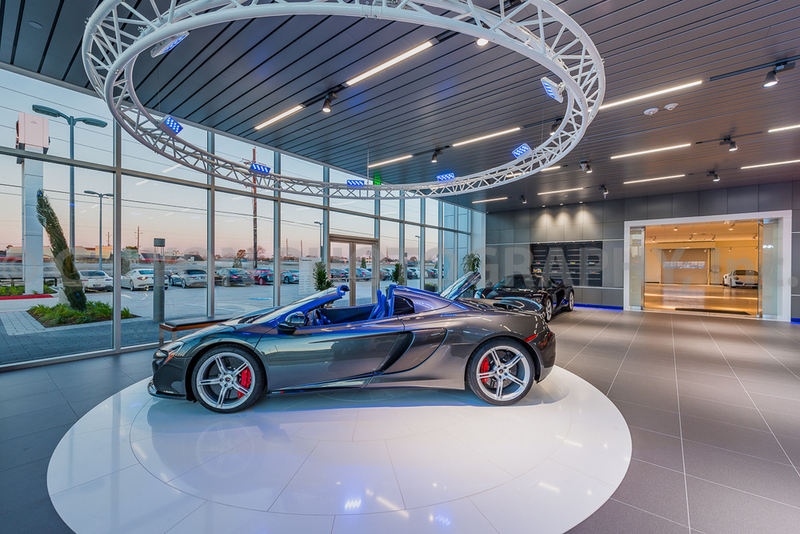 G. Lyon Photography was selected to capture Houston's first McLaren Dealership. The 22,000-sf space has no shortage of beautiful rides. This short article explains how aperture, shutter speed, and ISO work in photography. Click the photo below to learn more. Our team recently photographed two impressive projects in the Houston area and spoke to a local 4H Club. Here's a quick snapshot of what's been keeping us busy. Geoff recently shared photography tips with the Spring Branch 4H Club. If you are a member of an organization who might be interested in a similar presentation let us know. Check out this short video by world-renowned photographer Chase Jarvis to get some tips about creating good habits in the new year. Bisnow recently published a piece about how drones are changing the construction industry, and we couldn't agree more. Drones are making contractors' and architects' jobs easier for a myriad of reasons. Our team has extensive experience capturing a variety of buildings and landscapes with drones and can attest to their proficiency. Below are a few reasons to consider using drone photography in the future. 1. Record on-site progress faster by quickly capturing aerial images. 2. Hard-to-reach spaces are easily photographed. 3. Using drones is going green. The average manned helicopter consumes 129 liters of fuel per hour. 4. Better, unique, perspectives can be captured.